« Riding the Rails – Take a day trip on the Amtrak! Affordable and fun! We had heard about the awesome photographs that could be taken along the old American highway Route 66: old 50s style diners, deserted gas stations, abandoned cars and rusted out vintage signs. It’s too much to resist, in spite of the high temperatures we’ll face as we cross the Mojave desert. We’ll make our way down US-93 to Kingman, Arizona, with a side trip to the ghost town of Chloride (founded as a mining camp in 1863). Once there, we might attempt a bit of a trip northeast to Hackberry and Valentine, but we’ll determine that when on the road. We plotted the trip on MapQuest which strongly advises us to avoid the Hoover Dam area of US-93, if we aren’t planning to visit the dam (which we aren’t). If you have a yen for American History, there is a fabulous site you must visit: Legends of America. The site has been lovingly designed and is rich with detail and information on Route 66, and the towns and ghost towns that a traveler will happen on along the way. Stay tuned. I expect to get fabulous Americana photographs, the likes of which could only be gotten along that famous stretch of highway known as Route 66. 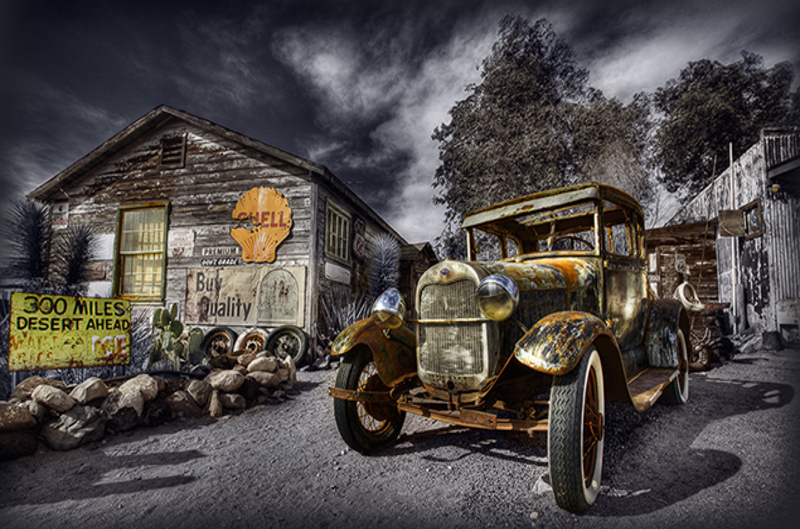 Thanks to Photoshop guru, Ben Willmore, for the inspiration to explore Route 66. Just take a look at this photograph he doctored. Gorgeous. 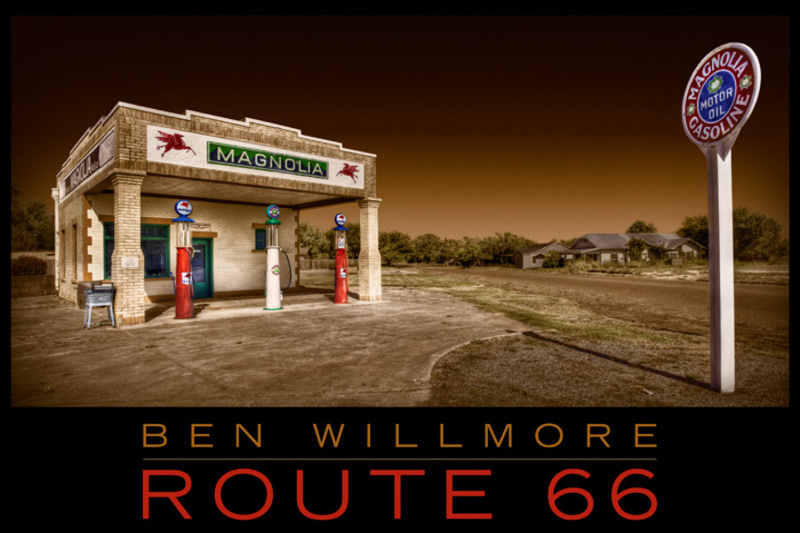 And here is his Route 66 tribute photograph. Gorgeous. I am not really into Photoshopping, but if I was, I’d want to be in Ben’s class. This entry was posted on Friday, July 11th, 2008 at 4:01 pm and is filed under Adventure Travel, Travel Destinations, Travel photography, United States, Variety. You can follow any responses to this entry through the RSS 2.0 feed. Both comments and pings are currently closed.